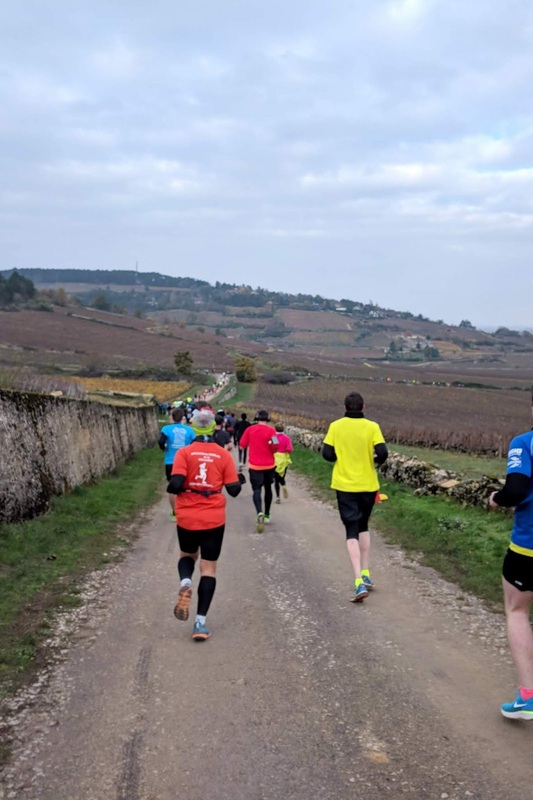 In November 2018, I ran Les Foulées Beaunoises, which was a random distance 10.4k (6.46mi) through the vineyards of Beaune. According to my run tracker, the race actually ended up being 11.2km (6.96mi)--so either the course was pretty inaccurate, my app was pretty inaccurate, or both were somewhat inaccurate haha. I was a little irked by the 10.4k distance since I would've loved to go for a 10k PR. But I figured I'd still try to race my best and aim for around 51 minutes. I forgot about the hills, though. 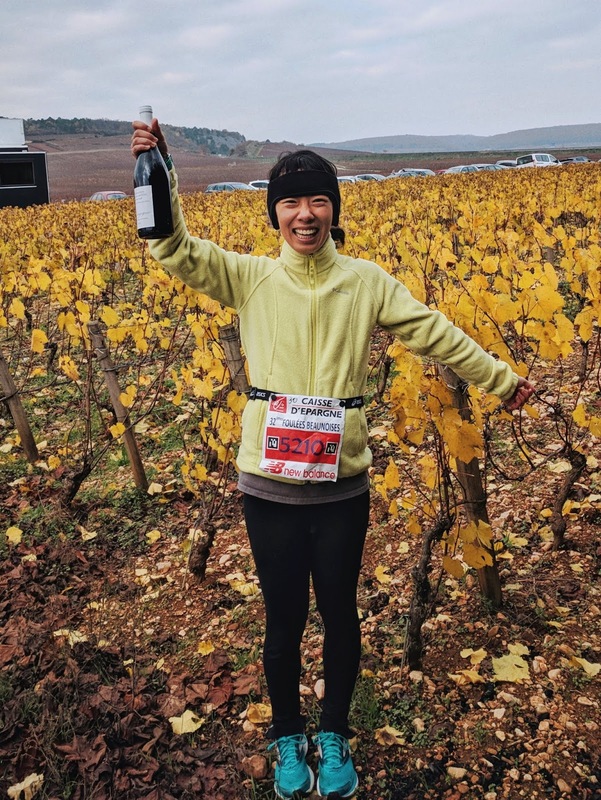 Last time I ran a race through vineyards, I ran my slowest half marathon to date. This race felt equally rough on the legs and lungs, but it was luckily only half as long. 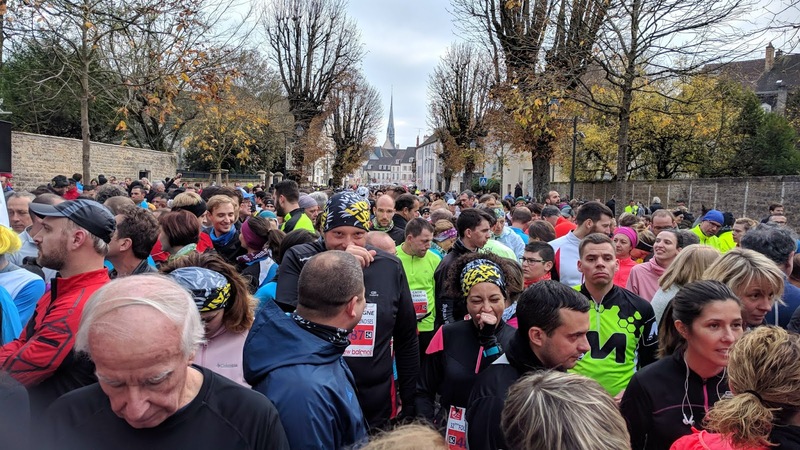 (There was also a half marathon--le semi-marathon de Beaune--going on at the same time, and I was hella glad I wasn't doing that). In the end, I finished in 55:52 (8:02/mi or 4:59/km, if we're taking my run tracker distance). I placed 488/1897 overall. I signed up online a week or so before the event. The 10.4k was 21 euros, and the half marathon was 26 euros. Prices were 5 euros cheaper for both races if you signed up before June 1st. There is also same-day (and day before) registration, but only if they haven't reached the 5500 participant limit. 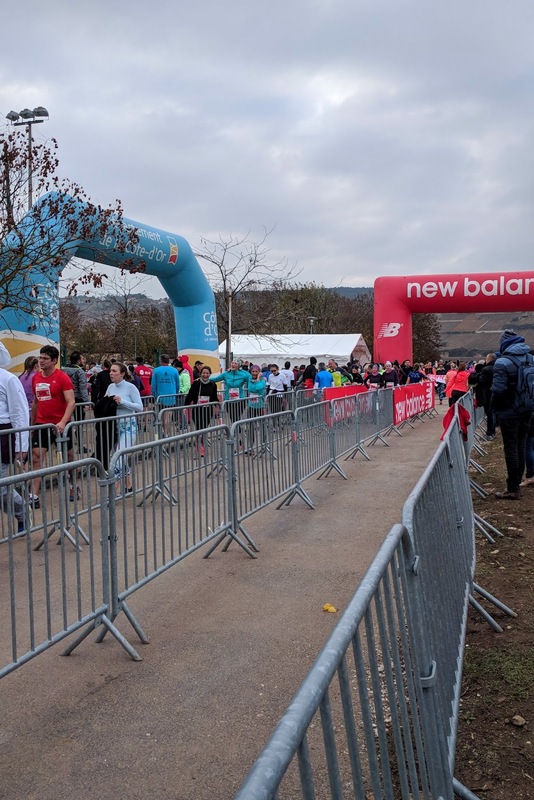 Medical certificates/physicals are always required for French races, and you can upload a copy of yours when you register. You could pick up your packets either the day before, or the day of. 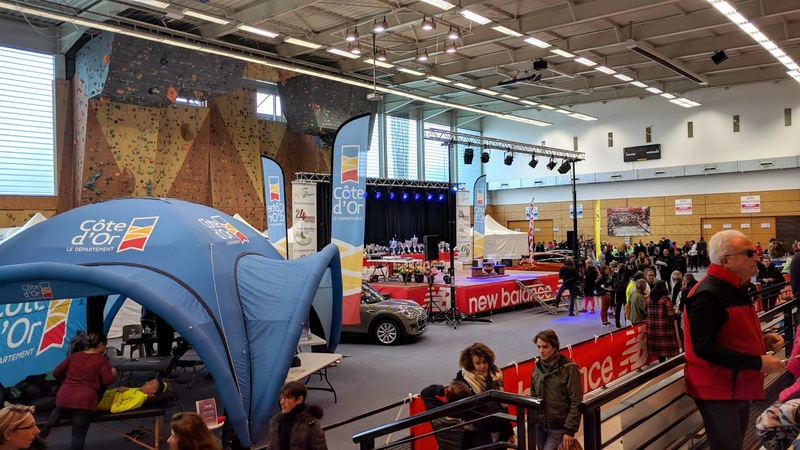 The expo was relatively small and had mostly charity vendors, trail race advertising stands, shoe vendors, and a wine stand (unfortunately, it wasn't free). Swag was nonexistent since registration fees were low--packet pickup really just consisted of picking up our bib; nothing else was in the envelope. There were, however, some product samples in our post-race bags (sunburn cream, bandaids, snacks). And instead of awarding medals, each finisher got a bottle of Bourgogne wine. The expo center was not well-heated, so definitely avoid coming too early and having to wait in the cold. Bathroom lines also got ridiculously long for women, so go at home before you come. The race was hilly as I should've expected, with elevation gain of about 430ft. The middle section of the course is the most challenging, with a handful of major inclines. The other parts of the race are pretty manageable. We ran along paved roads, so that was no issue. The kilometer markers, however, seemed off to me--my run tracker always had slightly different distances. It was also easy to get 10.4k markers mixed up with the half marathon markers; the course was nearly identical for some duration, but markers were 100-200m apart. The signs are color-coded, however, so make sure to look out for your race color. It's important to note that the beginning of the race is VERY crowded. The first turn out of the city can get jammed, so plan accordingly. 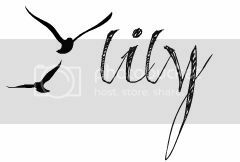 The race is chip-timed, so you don't need to worry about the time it takes to get across the starting line in the sea of people. There was one fuel station at the 4km mark, but I only had water. I was surprised to see that they also had wine and cheese--the race wasn't one of those "eat and run" events, so I'm not sure what their reasoning was there. On top of that, it was the first really cold weekend in Burgundy, and that wine and cheese must've been frozen! I believe that the stand also had more logical offerings, such as fruit and crackers. The French also love their pain d'épices as a race refreshment--it's basically a gingerbread pound cake, but I personally don't like it; it's much drier than American pound cake and the spices taste funny to me. At the finish line, there was cheese again, with fruits (bananas, oranges, dates), crackers, tea, coffee, and hot chocolate. We also of course got our finisher bottle of wine. 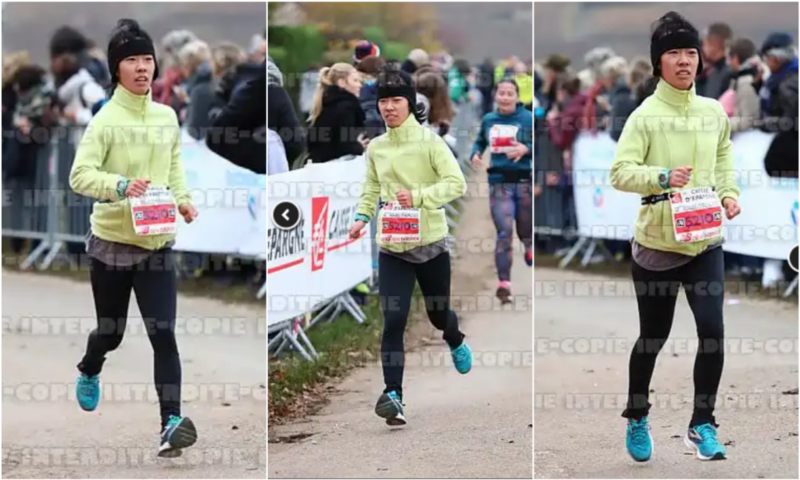 For your viewing pleasure, here are the happiest race photos I've ever taken. To be ironic, I actually posted these in an instagram story with the hashtag #runhappy. I'm actually still wondering whether I should buy these though because they're priceless, especially the rightmost one. Totally worth the 12 euros, am I right? So pro tip: if you want nice photos, be sure to smile at the finish! Don't show up too early, especially if it's a cold day. The race expo area is pretty chilly, and there's not a ton to do. Prepare for a traffic jam at the start of the race--there's a sharp turn and lots of participants! Swag is minimal (no t-shirt or medal), but you do get a finisher bottle of Bourgogne wine. 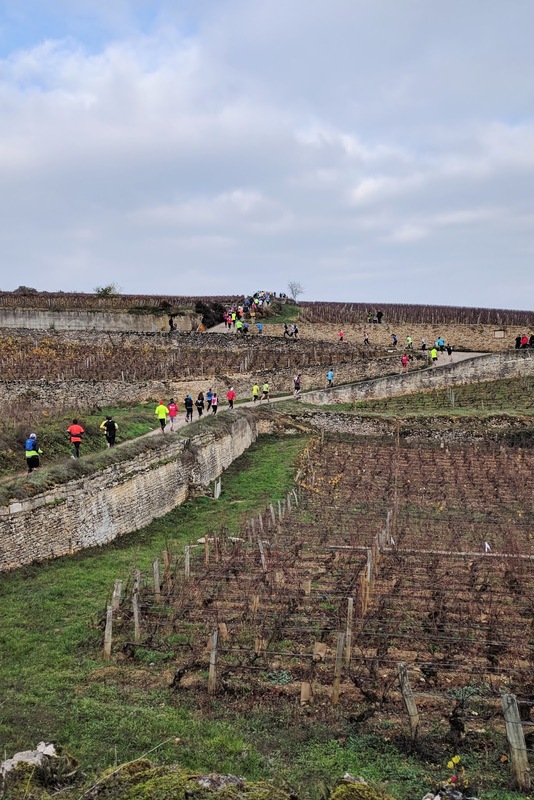 The course is HILLY, as is typical of vineyards. Not ideal for a PR. Keep your race distance markers straight, as the 10.4k and half marathon signs are slightly off (look for signs in your race's color).